Ang Yan Goan (1894-1984) slanted eyes, of course also the fathers -- all native Chinese people who were born in mainland China. All that is not the willingness Yan Goan and definitely not his choice. Also outside attorneys, Yan Goan born in the Land Pasundan, the city of Bandung. Pah Hwa primary school entrance-speaking Chinese in the colonial Dutch East Indies would still parents who decide, but since studying at secondary school level in China early 1900s, the ratio of the heads of young children growing up it started to make their own choices. In many ways he began to determine matters related to personal self according to the will and instinct -- especially regarding the self-front. Since their teenage years in high school rank in China in an atmosphere of civil war that raged between the two socio-political forces -- the rest of the Qing dynasty and Kuomintang's Sun Yat Sen -- he was steady down the choice between the forces of status quo on the one hand and the strength of future updates other parties. Without doubt he is the front-side reforms, and the choice was sustained when he was forced to return home to the Dutch East Indies. Since young he was quickly aware of politics, he also consciously choose Kuchantang than the Kuomintang party, even more so in the new Indonesia that became independent republic 1945. Yan Goan an energetic young man, full of initiative. Not huge but graceful posture integrity, he grew up as a stable community leaders chose the world of education, journalism and other progressive activities as habitat social devotion in life until old age. He does not have university education, but as a self-taught in addition to mastering the Chinese language, Malay language he mastered that grew into Indonesian, Dutch and English also, by itself also Sundanese. No less important in addition to ideological and political theory, Ang Yan Goan very prominent managerial capacity very reliable company. He was known to have hands-cold in setting up and managing a variety of social-profit business or commercial business. Many social institutions in the field of education was born out of his hand, or he's down-hand to fix the management company that loses money into a venture that gait back, healthy and productive. In regard to the printing & publishing group Sin Po, in addition to leading the editorial staff, as director he had anticipated the future of technology: he put on the printing machine and intertype-rotation, a step that make the technical capacity to match a group of Sin Po printing such as Dutch newspaper Java Bode and Het Dagblad. 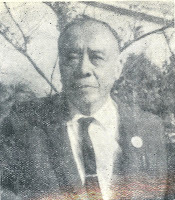 As Sin Po leaders of political attitudes Ang Yan Goan palpable progressive revolutionary, he had mobilized a fundraiser to help China deal with the Japanese invasion in 1938. Ang Yan Goan not a conglomerate, but as a successful entrepreneur who manages printing and publishing world, his generosity of character made him become a sponsor various social institutions. Together with a doctor who is also of Chinese ethnic origin he wakes up a small clinic into the hospital on a large and modern -- Yang Seng Ie Hospital. At the hospital the patient is better able to pay higher prices, patients are not able to get free treatment. Naturally, if he is also involved in one another phenomenal effort, namely the establishment of University of Res Publica initiated Baperki, chairman Siauw Giok Tjhan and secretary Go Gien Tjwan. Thus brief sketch of a prominent Indonesian nationalist Chinese ethnic origin.